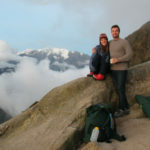 Last September Irit and Josh embarked on what they claim was, “the BEST holiday ever.” Their trip started in Peru, where they crisscrossed the country exploring Cusco, the Sacred Valley, the Pisac ruins, Kenko, Machu Picchu and more. 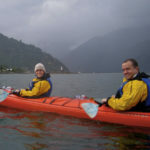 Highlights included mountain biking through the Andes, meeting people from the Amaru community, and experiencing the famed Machu Picchu ruins. After some down time in Cusco they hopped on a flight and began their journey to southern Patagonia. 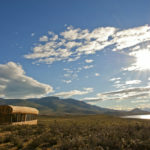 Here they stayed at Tierra Patagonia, a one of a kind lodge in the Torres del Paine National Park area. Thank you for the kind sentiments Irit, we had a wonderful time creating this incredible trip with you both. Read on for a detailed look at their Peru and Chile combination trip. You will arrive from the U.S. in the evening to Lima airport where you will be met and assisted in checking in at the adjacent hotel. After your short morning flight to the former Incan capital of Cusco where Andean cultures come alive (don’t be surprised when the language doesn’t sound like Spanish – it is most likely the native Andean tongue Quechua), you’ll be met at the airport and taken for lunch. Departing for the Incan sights outside Cusco, you’ll visit the fortress Sacsayhuaman and its megalithic stone terraces; Kenko, with its carved stone surfaces and subterranean altars; the Puka Pukara fortress that protected the royal capital from attacks; and the water temple, Tambo Machay. Stay for lunch with the Amaru before heading to the Pisac ruins that sprawl down the mountainside towards town. Afterwards we’ll hike along the high-mountain terraces and through the ruins before descending to Pisac – one of Peru’s largest and most vibrant markets – where you can bargain with Andean campesinos for hand-crafted wares. Return to your hotel for a relaxing evening. Departing in the morning, drive up the mountains towards Cruzpata where your adventure begins. Non-technical and mostly downhill, this world-class mountain biking adventure is great for those with and without experience alike. Traversing the altiplano landscape with sweeping vistas to snowcapped peaks over 16,000 feet high, you arrive to Moray – a little-known site thought to be an ancient Incan agricultural laboratory.From here you begin descending and pass through a traditional colonial village. After enjoying a gourmet picnic lunch in the shadows of the Andes, continue on the downhill section to Maras where villagers still harvest the pre-Colombian terraced saltpans in the traditional way. From here you can choose to continue the descent down to the Urubamba Valley floor, hike an alternative trail, or return to the valley by van. Relax at your hotel in the evening with dinner at your leisure. Early risers can watch the sunrise from the Machu Picchu citadel or make the early morning climb of Huayna Picchu mountain. This incredibly vast archeological site – lost to the world until well into the twentieth century – is perched amongst Andean peaks and lush cloud forest making it one of the most breathtaking sights in the world. You’ll have the opportunity to get a complete guided tour of the site as you begin to unlock the mystery of the Inca, and will also have plenty of time to explore the ruins on your own. Lunch at the adjacent Sanctuary Lodge means you’ll be able to enjoy the whole day without leaving awe-inspiring Machu Picchu. 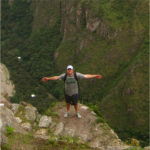 You will then take an evening train back to the Sacred Valley and onward by vehicle to Cusco. Enjoy the day at your leisure to independently explore the amazing city of Cusco. You will be picked up at your hotel and transferred to the airport in conjunction with your onward flight to Lima where you’ll remain in the airport and fly onward to Santiago. In Santiago you will be responsible for walking unassisted across the street to the airport hotel. You will be responsible for walking back across the street to the airport and checking in for your morning flight to Punta Arenas, where you will begin your next adventure. 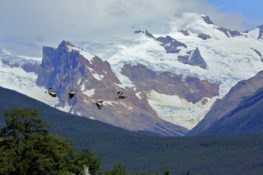 After arrival you will be met by a Tierra representative and taken on the scenic drive through Puerto Natales and onward into the national park. 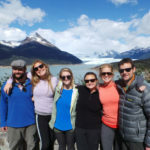 While at Tierra Patagonia you will be able to choose from a wide range of adventurous excursions, as well as enjoying gourmet food and a range of wines and alcohol as part of their adventure inclusive package. 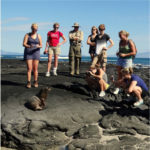 For more information on excursions please see the supplementary information from the lodge. Continue enjoying your adventures throughout the region and your stay at Tierra. After enjoying your morning at Tierra you will be taken to the airport in accordance with your onward flight to Santiago where you will be met by a Knowmad representative and taken to your accommodations in the city. Enjoy a leisurely morning in the city. You will be picked up at your hotel in the afternoon for a half- day guided exploration of Santiago, after which you’ll be dropped at the airport for your onward flight home.